RUSH: A shocking news item from Rasmussen Reports today. Donald Trump’s personal approval and presidential approval number has reached 50%! Fifty percent approve, 49% disapprove. Now, we have to look at this and say, how in the world is this happening? It is a stunning thing, and on the surface it doesn’t make any sense. Let’s review some recent Trump activity. He blasts one of America’s longtime, highly touted newspapers, the Washington Post. And because Jeff Bezos of Amazon owns it, he’s now calling it not a newspaper, but essentially a political action committee that needs to be regulated as such. He’s blasting the special counsel who is said to be a man of the highest integrity. Facebook, Twitter, Google largely doing everything they can to undermine Donald Trump, and they have been for two to three years. Netflix has just hired Susan Rice, the woman who lied on five Sunday morning TV shows about a video being responsible for the terrorist activity in Benghazi. She’s been hired for the Netflix board of directors. And you have Camera Hogg out there and doing what he’s doing and the anti-gun crowd and all that. RUSH: All of these things that Trump is up against, and yet he’s at 50% approval. How in the world does this happen? Not to mention hundred percent, 90% negative media coverage. How does it happen he gets to 50%, and what does it mean? RUSH: Seriously, how does Trump get to 50% approval? By the way, just so you know, Rasmussen is the only polling outfit that does this now. Rasmussen is the only bunch that polls likely voters on a regular basis on presidential approval, on a regular basis. Some of the others will dibble and dabble at it, but Rasmussen is it. The others have gotten out of it, in large part, because results were so inconsistent. So here’s Trump in the only poll on this that’s taken regularly at 50%. He’s been hovering at 42 to 45, 47 now, breaks the 50% barrier. The New York Times, the Washington Post, the Los Angeles Times, CNN, USA Today, MSNBC, every media outlet out there is lined up 90% of the time every day opposed to it. Trump has announced he’s pulled out of the Paris climate change accords. Trump has announced he’s gonna get rid of the Iranian nuclear deal. All of these great, lovable things Obama did that we were told the nation totally supported. Trump is so ticked off over the lack of cooperation he’s getting on getting a handle on illegal immigration, he said today, DACA is dead, screw it, I’m tired of working with people on it. You would think that with all of this, his numbers would be plummeting! But they aren’t. Now, it doesn’t mean these newspapers and cable news networks are ineffective. It just means they’re not fooling as many people as regularly as they have been. And, of course, it’s just one poll, so we have to take all of this with some guarded sense of perspective. But I have long thought that this never-ending, unreasonable attack on Trump is gonna have a backlash, is going to cause a backlash at some point, only because I’ve always believed that people’s emotional reservoirs eventually fill and then begin to drain. You cannot maintain fever pitch emotion, over anything, pro or con, at 100% intensity for very long. At some point, people begin to ask, “Well, where is the beef? You know, we’ve had a year and a half of Trump’s this and Trump’s that, but we haven’t seen any evidence of it. Where is it?” So maybe a bit much a backlash. RUSH: Let me grab a quick phone call here on the subject of Trump’s approval numbers. It’s Smokey in San Diego. Smokey, great to have you on the program, sir. How are you? RUSH: Smokey, how did you get the nickname Smokey? CALLER: Unfortunately from time to time I like to clip off the end of a nice cigar. RUSH: Whoa. Then it’s a positive nickname. RUSH: Great. Great. I was hoping it was something like that rather than you start fires. CALLER: No, nothing like that. RUSH: She’s not. But she’s a pro-Trumper. RUSH: — Smokey, do you really think that a television show that mentioned Trump in a favorable light is responsible for a two-and-a-half to three percentage point increase in approval number? Now, it did have a huge audience. It’s 18 million people that watched the show, minimum. Do you really think a TV show can have that much effect on the approval numbers? RUSH: If they do that, they’re getting close to this audience size. CALLER: Yeah. And she has a certain following, you know, she’s blue-collar. RUSH: Okay. I got it. I appreciate it. I wanted to take your call because you’re providing an excellent transition into something the left is trying to get people to believe. The left is saying that Trump’s approval numbers went up — are you ready for this? Trump’s approval numbers jump up because he caved on the wall and he caved on immigration, and he caved on spending in the omnibus bill, and so a bunch of Trump-hating leftists are looking at him in a different light now. And so Trump’s approval numbers are not going up because he’s got additional support from people on the so-called right or among conservatism, but rather Trump’s jump in approval number is strictly because the left is beginning to like him more, since he caved on so many things in the omnibus. Now, I’m telling you, they’re gonna be out there trying to push this, if they’re not already. (interruption) Well, that’s the question. Not only who’s gonna believe it. How widespread is it gonna be? You know, I found it in an esoteric place. It’s not widely disseminated yet, but it’s gonna be. Because this number just came out today. The Rasmussen number just came out today. By the time tonight rolls around and tomorrow, with all of the predictable panels on cable news, you’re gonna see somebody posit this theory that Trump’s numbers have nothing to do with his supporters liking him more. It has nothing to do with Trump even gaining supporters. What it really is is a bunch of leftists that they’re not Never Trumpers, they’re not crazy about the guy, but, hey, he did the right thing, all this spending, he caved on the wall, he caved on this, hey, maybe he’s not so bad. Maybe he’s gonna be okay. And that’s what they’re gonna try to say is the reason he got to 50. (interruption) I just did explain why. I mean, you didn’t hear it all ’cause you’re busy screening calls in there, but not only did I explain why, I explained what tough odds there are to pull this off. You got 90% media coverage every day against Trump. Trump has supposedly canceled so many things that the American people supposedly loved that Obama did. I mean, he’s taken a knife to the individual mandate in Obamacare. He has pulled us out of the Paris climate accords. That means we’re gonna sweat and die. He wants to pull us out of Obama’s Iran nuclear deal. You got the New York Times, ABC, CBS, NBC, Washington Post pummeling Trump every day, and yet he’s at 50%. So my theory on Trump approval numbers going up is related to substance and policy. People don’t want any part of climate change. People don’t want the Iran nuclear deal. They don’t want the Iranians to have a nuclear weapon. I believe people still think Trump is dead serious on the wall and immigration even though he caved in the omnibus on these things. The left is simply grasping at straws with this theory. Have any of you ever run into a Never Trumper that could be changed by Trump? I mean, somebody that hates Trump, you know them, I’m sure you’ve run into these people around town in your daily lives. You run into these Never Trumpers, I mean, they are viscerally anti-Trump. They are fulminating with hate. Trump has what’s called perfect polarization. There’s nobody that does not have an opinion on Trump. He’s either wildly appreciated and liked or he’s despised. So does it make sense that that Trump can convert some of these people that genuinely hate him into giving him thumbs-up on approval polls? But that’s what they’re gonna say, that’s what they’re gonna try to say is one of the possible explanations for this. RUSH: Back to the phones we go. This is Matthew in Oklahoma City. Great to have you on the Rush Limbaugh program. Hi. CALLER: Hi, Rush. First-time caller, not necessarily long-term listener. I’ve been listening to you for about five years, and it’s an honor to talk to you, sir. CALLER: Well, I was just wanting to say, earlier you had mentioned where you can’t think of a single Never Trumper that has started to sway or once a Never Trumper they’re always a Never Trumper. And my wife is a perfect example of someone who has actually started to sway. My wife hated Trump, hated him when he started running, couldn’t stand the guy, thought he was a fascist, bigot, every name under the sun. But once he became president and his economic packages started to pass and, you know, his relationships with these other countries started to improve our standing in the world, she’s started to sway her opinion of him. She still thinks he’s a jerk, but she thinks he’s making a very good president. 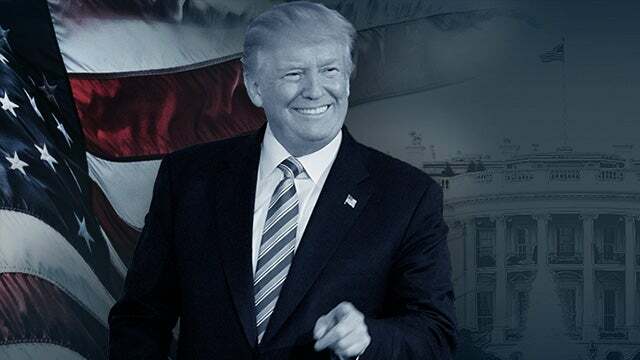 RUSH: Now, this is fascinating, because the reason why he’s calling, folks, is because in the first hour of today’s busy broadcast, I mentioned that Trump’s approval numbers in the only constant presidential approval poll taken now, the Rasmussen people, Trump’s approval number first time is at 50%, 49% disapprove. And I went through the list of things that might explain it and what Trump has had to overcome in terms of opposition to get 50%. I pointed out that the Drive-By Media is going to say that maybe Trump’s approval number going up has nothing to do with more Trump supporters. That they’re gonna try to say that Never Trumpers or anti-Trumpers are softening their view because he caved on much in the omnibus spending bill. In other words, gonna try to claim that some Democrats are softening and that’s why Trump’s approval numbers are coming up, that he’s actually still losing support among people that originally supported him. But your wife does not fit that circumstance, right? RUSH: Your wife began to turn around after Trump’s economic policies were implemented and substantive changes took place, right? RUSH: When Trump caved on the omnibus, did your wife make note of it, did that make her like him even more or was not a factor? CALLER: — all for increasing the money for our military, but a bunch of that stuff she’s like, that’s stupid. I mean, she’s a Millennial and she’s starting to realize that the media is completely dishonest. She doesn’t even go to the main sources anymore. RUSH: — tweets or his behavior. CALLER: She still doesn’t like his personality, but she is liking his policies as a president. RUSH: Yeah, that’s why I say it’s rare. I haven’t run into too many people doing that, especially women. If your wife is, then that’s not gonna be good news for the Democrats. I know this is anecdotal, it’s just one story, one example here. Has it made your marriage a little less contentious, or was it not a problem? CALLER: Oh, yeah. We were a little contentious when he was running for president, but once he actually started doing the things that he said he was gonna do and actually the country started to improve, yeah, it’s made a whole world of difference. My wife is not one of those women that Hillary talked about and said that they vote the way their husband tells them to vote. My wife does not listen to a word I say. She’s her own free spirit and free minded woman. RUSH: Join the club. That’s why I always say women are the ones with ultimate power in civilized society. What about me? Does your wife have an opinion of me? CALLER: She likes you, she likes your humor, which I love your human too. We think you’re funny, but she’s a little indifferent with that. She likes the source because it’s not a direct main media source. She doesn’t like Fox News. But she’s willing to listen to these radio shows because they tend to be more neutral. RUSH: Interesting. This is fascinating stuff. I love learning how people think, when it’s thinking involved and not feeling. I’m fascinated by how people think. And course there’s a lot of factors in that, basic foundation of knowledge, confidence in what people believe, all of that is a big factor in someone’s thought process, versus people that are not confident, not sure of themselves, they’ll think in different ways. This is, as I say, fascinating. It’s anecdotal, doesn’t mean anything in terms of doesn’t represent a large body of public opinion, but it’s still one story and it goes against the grain of what the Drive-Bys are trying to say. Let me run through this again because I don’t want to be confusing about this. The Trump approval numbers at 50. Now, in a normal circumstance, big deal. Trump’s numbers, by the way, in this same survey at the same time in the presidency, Trump’s numbers are higher than Obama’s were at this same time. And they’re not gonna tell you that. What they’re going to try to tell you is that Trump’s approval number is up because Americans are less angry at him since he caved on the stimulus. And that means he caved on the wall, he caved on DACA, and caved on pretty much everything but defense. That’s what the media is going to try and attribute his increased approval rating to. And they’re wrong about that. They’re gonna try to tell you it has nothing to do with Trump becoming more popular, it has everything to do with people disliking him less.